The nation's health ministry warned that there is virus circulation of the disease in Santa Fe, Salta, Misiones and Formosa. There are 28 autochthonous cases and 7 with travel antecedents. Yellow fever also worries about falls in Brazil. 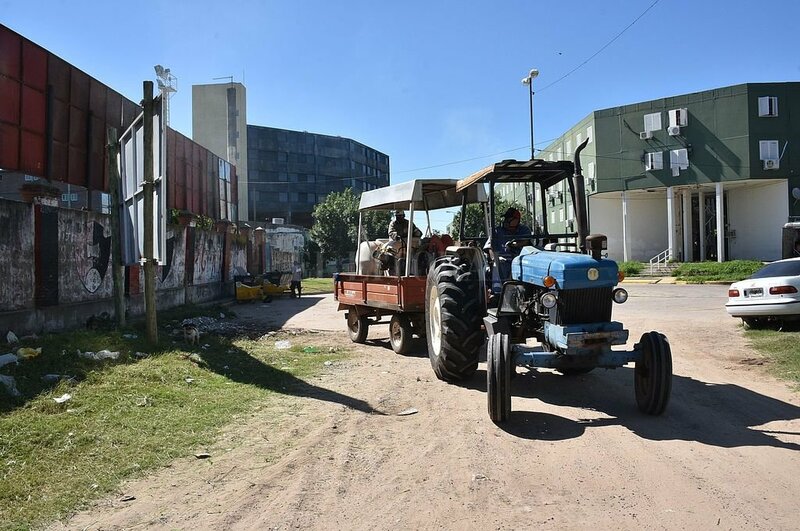 In the city is one of the centers, with 19 cases Epidemiological alert: confirm 35 cases of dengue in Argentina The nations health ministry warned that there is virus circulation of the disease in Santa Fe, Salta, Misiones and Formosa. There are 28 autochthonous cases and 7 with travel antecedents. Yellow fever also worries about falls in Brazil. The nation's health ministry warned that there is virus circulation of the disease in Santa Fe, Salta, Misiones and Formosa. There are 28 autochthonous cases and 7 with travel antecedents. Yellow fever also worries about falls in Brazil. 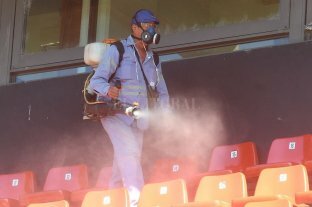 The epidemiological director warned that the dengue virus had viral circulation in the country and issued an epidemiological warning for the 28 autochthonous cases so far confirmed in Santa Fe, Salta, Formosa and Misiones. The national health system also raised its protection against yellow fever in cases in the Brazilian states of São Paulo and Paraná (the virus was also detected in monkeys in the jungle areas of the state of Santa Catarina). "Health clubs are urged to intensify epidemiological surveillance of cases and raise awareness of the clinical suspicion of dengue and other arboviruses, including yellow fever, in people who have been at risk," the statement said. The latest epidemiological bulletin in the care portfolio, which does not include update that Santa Fe Health Ministry did this Thursday, indicates that there is localized dengue serotype 1 transmission (DEN-1) in the city of Santa Fe and in the Salta and Oran and Tartagal sites. "There are also isolated cases of dengue virus serotype DEN-1 in Puerto Iguazú (Misiones), in the city of Buenos Aires and in Ingeniero Juárez (Formosa)," the report says. In total, there are 28 confirmed cases that do not register travel history. In addition, there are 7 positive cases of dengue in people traveling to areas where the disease is endemic, such as Brazil, Paraguay and Bolivia. The health secretariat reported that there were no cases of other arboviruses (viruses that transmit arthropods, such as mosquitoes) that produce diseases such as Zika and chicunguña. The Pan American Health Organization (PAHO) warned Brazil is going through the season with increased yellow fever transmission. "The expansion of the historic range of yellow fever transmission to previously considered risk-free areas caused two transmission waves: the first in 2016-2017, with 778 cases in humans (262 deaths), and the second in 2017-2018, with 1,376 cases. in humans (483 deaths), "said the Nation's Ministry of Health. In the spring and so far this summer, 12 cases have been confirmed in Brazil, including 6 deaths, in the municipalities of El Dorado (9 cases), Jacupiranga (1 case), Iporanga (1 case) and Cananeia (1 case), all those in the southern state of São Paulo, mostly rural worker. Paraná's health secretary reported that the tests performed on dead monkeys in Antonina on the Paraná coast were positive for yellow fever. "These cases, as well as the confirmation of viral circulation in the state of Paraná and several suspicions of episodes of monkeys near our border (unconfirmed) mark the beginning of what may be a third wave and the outbreak of the outbreak towards the Southeast and southern part of the country. an increased risk for the border regions in Argentina, mainly the provinces of Misiones and Corrientes, which share similar eco-epidemiological conditions and for travelers visiting Brazil who have not been vaccinated, said the Ministry of Health. People who are traveling to areas in Brazil where cases have been reported (Rio de Janeiro beach area – especially Angra Dos Reis – for example, and also San Pablo) should be vaccinated. The national vaccination calendar contains a dose of vaccine for boys and girls aged 18 months living in the province of Misiones and Formosa and some departments in Corrientes, Chaco, Salta and Jujuy, with 11 year olds. The vaccine should be applied preferably 10 days before the travel date and a single dose is sufficient to protect yourself throughout your life. In the case of travelers, the vaccination must be indicated by the physician individually according to the actual risk of infection in the area to be visited and personal conditions. Provincial Director of Health Promotion and Prevention of Santa Fe, Julio Befani, confirmed to El Litoral that the new investigations that will be made to Columbus players will be the key to confirming or excluding the disease. Yesterday, the Ministry of Health reported that the first analysis had a negative result, but it usually happens that patients suffering from dengue take several days -five, roughly to generate antibodies detected by laboratory tests. That is why the second blood test is so important that it must be done according to the protocol established by the National Health Secretariat.